STORRS – Dozens gathered on Inauguration Day in the University of Connecticut’s Thomas J. Dodd Research Center to share words, poetry and music and encourage civil discourse regarding social and political issues. Students, faculty and local community members of different ages and backgrounds attended, and one speaker said he was making a plea to their human soul. Research center director Dr. Glenn Mitoma, an Assistant Professor of Human Rights and Education, said that like other presidential inaugurations, this year’s is a time of change and anticipation. Mitoma said that he is particularly concerned about how President Donald J. Trump’s administrative policies might affect the international students at UConn. 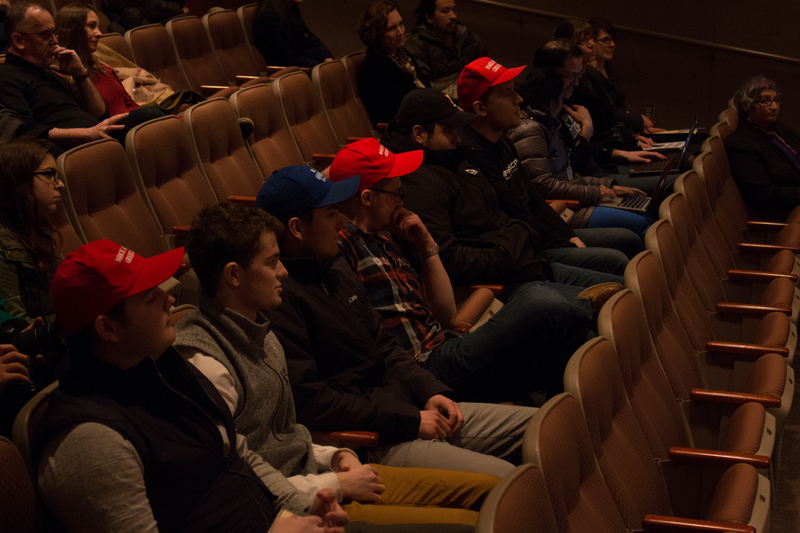 While some audience members voiced concerns, others said they rejoiced over Trump’s victory. A group in the crowd shows its support for newly-inaugurated President Trump. 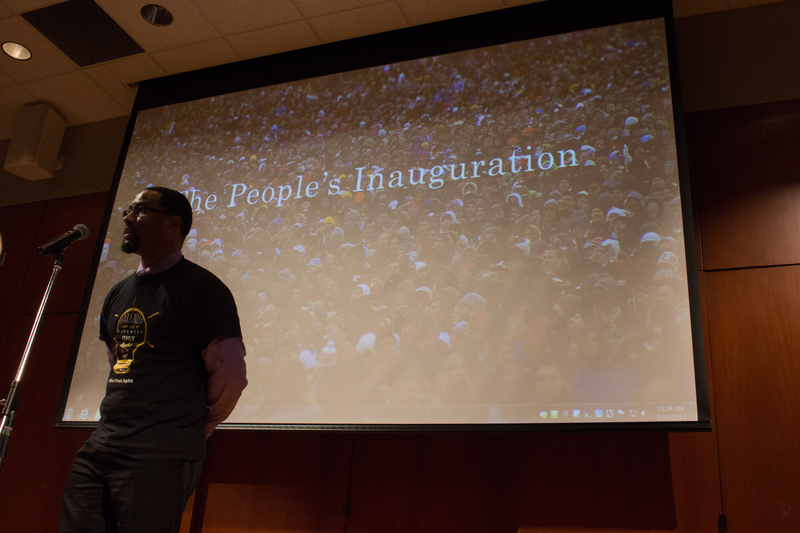 The event, called “The People’s Inauguration,” was sponsored by the Dodd Center, Human Rights Institute and the Student Coalition for Social Justice, founded last semester to promote social activism on campus. Coalition president and senior Amelia Subervi, a double major in Psychology and Human Rights, said the event was organized to keep alive hope for continued preservation of human rights under the Trump administration. Mitoma said he was heartened by the turnout at the event and pleased with how civil it remained throughout.